“Investing in women’s economic development is a significant economic driver,” said co-founder Lucienne Gigante. “I used to be in finance, but I started this company when I saw that the lake I grew up swimming in was completely polluted,” she told NBC Latino. “Ix is the Mayan word for water, and for every purchase made, you can help provide clean water.” Ix helps with water filtration systems and wells, among other clean water efforts. Cindy Cruz is a self-described “city girl” in Puerto Rico who says she felt unfulfilled by what she was doing with her life. “I figured out that I wanted to be happy and connect with nature,” she said. Delgado added that despite a government default and other economic bad news coming out of the island, the “entrepreneur mentality” is catching on there. 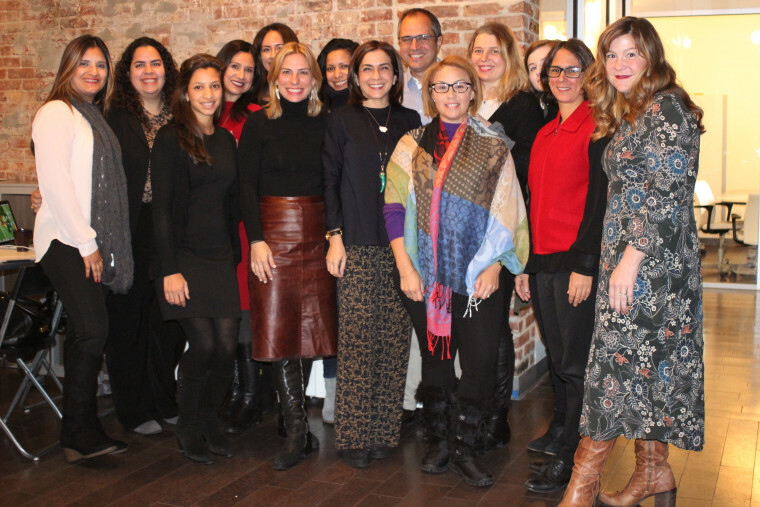 “Latina-owned businesses have increased nearly 200 percent over the past decade and we want to help them grow through access to mentorship, networks, and opportunities,” said AccessLatina co-founder Marta Michelle Colón.